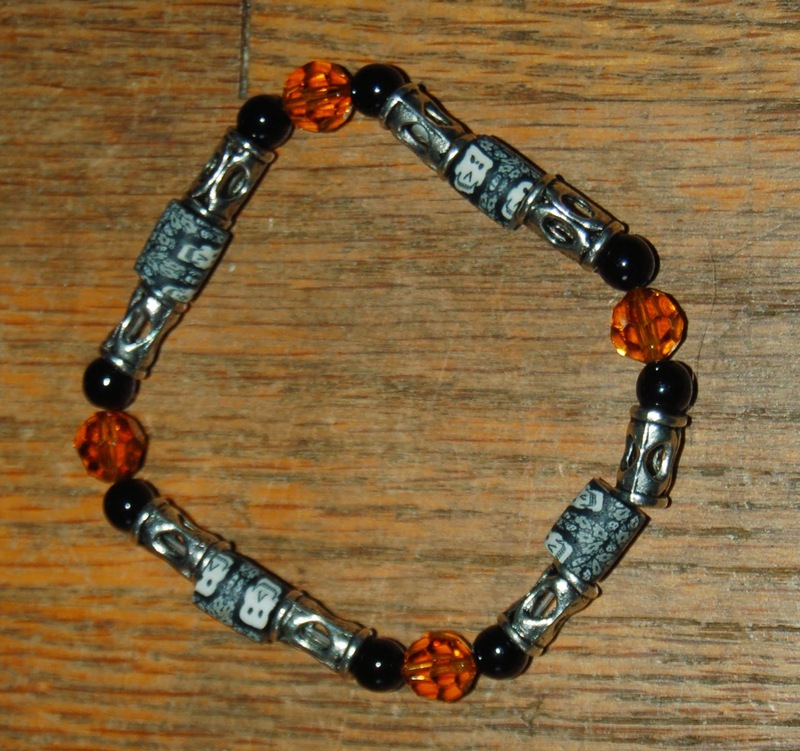 Midnyte Reader: Halloween Hootenanny skull bracelet giveaway! I made this using Swarovski crystals, silver metal tube beads, black ceramic beads and fimo skull beads. This has been strung on Stretch Magic and just slides on your wrist. The skulls are so subtle they can be worn anywhere! The shape looks square-ish because of the tube beads, but it is a flexible. ~Leave a comment below and tell me the best costume you've ever worn. ~This contest ends on October 22, 2014 at 12:01am. Another great bracelet! Thanks for the chance to win. Hmm. I dont really have a best costume, but i do have a favorite. One year, my whole family, (siblings, cousins, aunts, uncle, grandma, etc) We all dressed up gothic. We had so much fun laughing! I remember by the end of the night, my cheeks hurt. lol Thank you! When I was 2 years old my mother had made me a Red Riding Hood costume. Of course I don't remember it but I have many photos and I love them.